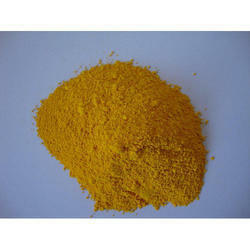 Providing you the best range of sunset yellow fcf and brilliant blue fcf with effective & timely delivery. By keeping track with the latest market development, we introduce high quality Sunset Yellow FCF. The offered Sunset Yellow FCF are processed using superior quality chemical compounds and progressive technology in sync with industry standards. Our provided Sunset Yellow FCF are tested on different parameters of quality so as to deliver qualitative product at clients’ end. Moreover, these Sunset Yellow FCF are available in different sizes, designs and specifications. Our esteemed clients can avail from us a broad range of Brilliant Blue FCF. The offered qualitative Brilliant Blue FCF are processed using superior quality chemical compounds and innovative technology in adherence with industry norms. Our provided Brilliant Blue FCFyes are strictly tested by our quality examiners on different parameters so as to maintain their quality. Moreover, these Brilliant Blue FCFes are praised for their purity and excellent quality. Looking for Food Color Dyes ?